Editorial content for the NCAA Division I Championships is sponsored by Nike Swim. TUCSON – The championship final of the 50 free at the men’s NCAA Division I championships in Iowa could be historic. We could see the most swims under 19 seconds in the final than ever, but history has shown us that breaking that magical barrier at one of the most competitive meets in the world is much easier said than done. Four men go into the meet with seed times under 19 seconds. Co-reigning NCAA champions Brad Tandy of Arizona and Kristian Gkolomeev of Alabama will be looking to swim faster than the 18.95 they both posted last year, and Gkolomeev has already done that with an 18.64 from the SEC championships. Tandy matched his NCAA time last week at the Pac 12 championships. Also in the mix will be Florida freshman Caeleb Dressel, who swam a lifetime best 18.89 three weeks ago. N.C. State junior Simonas Bilis cracked the 19-second barrier for the first time with an 18.98 at the ACC championships. If those four are under 19 in the final, it will tie the record of four sub-19 swims in one final from the full-body techsuit 2009 championships. Six swimmers actually broke 19 at that meet, but two were swum in the consolation final. Last year, three swimmers broke 19 in the final, including now-graduated Brad DeBorde of Florida with his 18.98. The following three swimmers also have the potential to go under 19 seconds later this month, and if it happens, it will be the fastest field of the 50 free in history. Of these three, Stubblefield has the best chance of breaking 19, having done it once before at last year’s NCAA championships. But he did it in prelims with an 18.97, then faltered in the final to place fifth with a 19.09. The California senior, seeded 11th with a 19.32, will need to go under 19 again in prelims just to secure a place in the final, but the key to giving California the big points is to find the confidence to do it one more time in the final. Like most who swim in the top 16 in the 50 free at NCAAs, Stubblefield will have swum the 50 free three times earlier in the day, including prelims and finals of the 200 free relay. 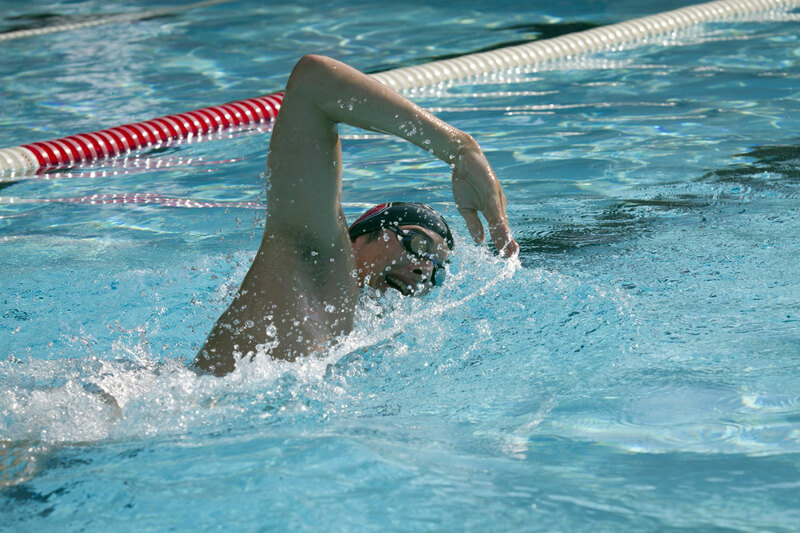 You might think doing four 50 freestyles in one day is not difficult, but the shortest event on the schedule demands extreme physical and mental capacity for each swim. That can be taxing for any swimmer, but Stubblefield will be one who has the potential to stand up to the task. 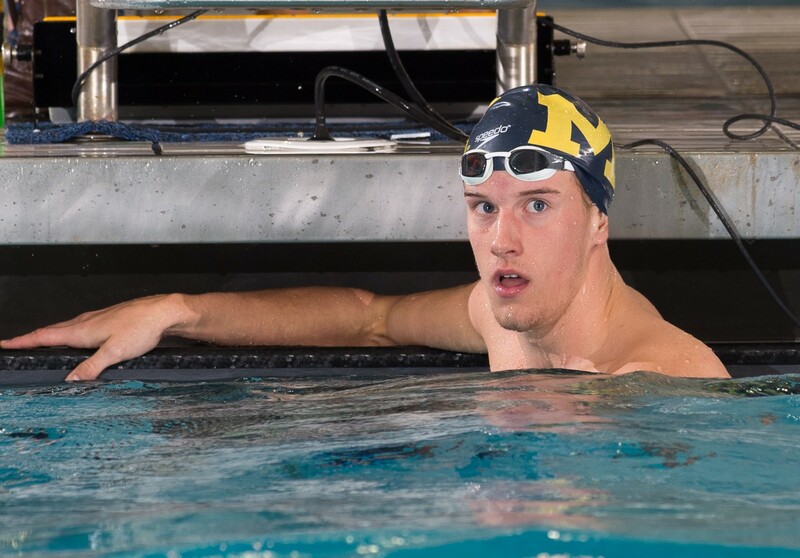 Powers, a freshman at Michigan, could join Dressel in the final and give the field of eight a jolt of young blood. 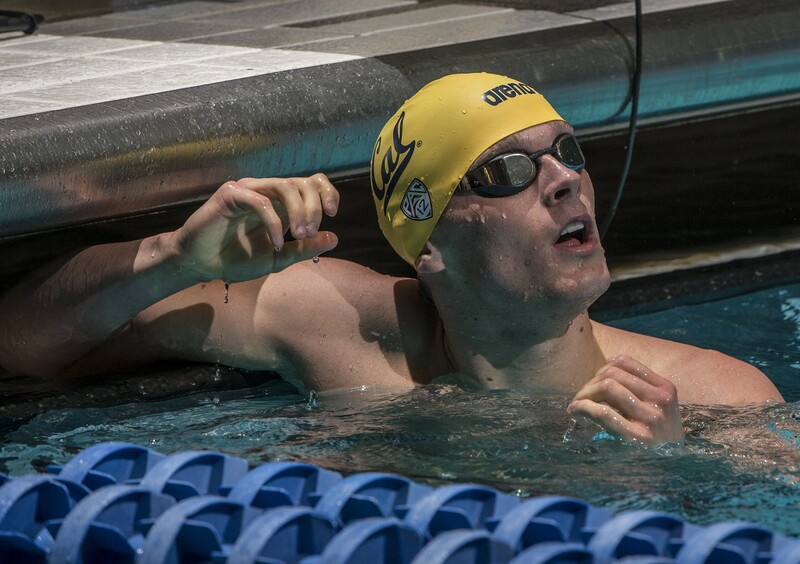 Powers dropped three tenths off his lifetime best to earn the seventh seed in the 50 free with a 19.21. If he can find another three tenths, he’s under 19 and part of history. Powers spent last summer working with the elite squad at SwimMAC Carolina alongside Cullen Jones, so he has the skills needed to break the barrier. But will the pressure of the NCAAs be too overwhelming? N.C. State has a strong and proud tradition of sprint freestyle that dates back to Cullen Jones, and David Williams has been a vital part of that. Williams is seeded fifth with a 19.12, which is oh-so-close to the magic barrier. In order to join Bilis in the final, he’ll have to go under 19 seconds, and he will likely be riding the wave of adrenaline from the 200 free relay earlier in the session. N.C. State will be a strong challenger there, and if Williams can keep his energy level up through four 50 freestyle races, we could see two N.C. State swimmers under 19 seconds, something no other school is likely to boast this year. NC State’s sprint tradition well predates Cullen Jones… Do you recall David Fox? NCAA 50 free champ, 96 relay gold medalist. Didn’t Fox break Biondi’s record?